In a bowl large enough to hold the popcorn, drizzle 1/3 cup of the mushroom sage olive oil over the sides and bottom of the bowl. 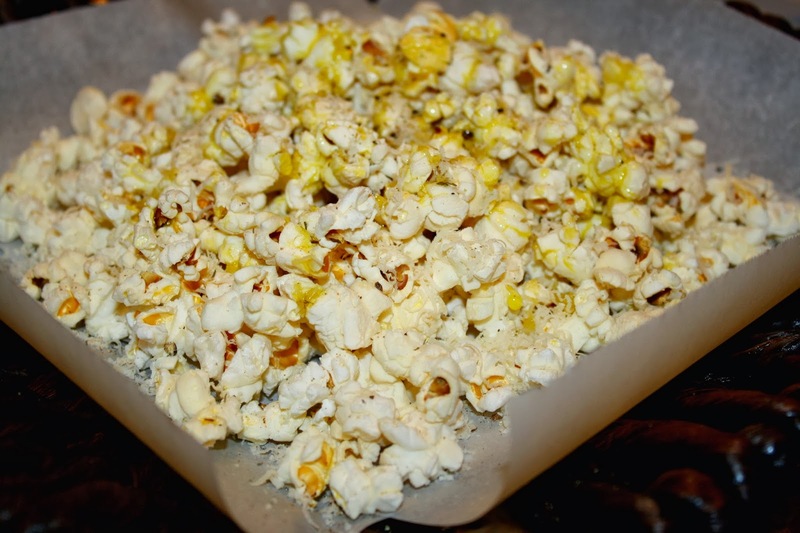 Alternatively, you can use an oil mister to spray the oil on to the popcorn. Cayenne Agrumato Olive Oil + Baklouti Agrumato Olive Oil = "Three Alarm Popcorn"